Badrock, his dad and Gunner find themselves in the headquarters of Overlord. They have to fight his troops and Girth to escape. When theyre away from this bad place they meet Lowblow, a mercenary who wants the reward for their heads, working for Overlord. They defeat him easily but their battle isnt over as they meet Cutthroat and Hellrazor, two enemies of Savage Dragon, who want the same thing. Gunner is hurt but the battle is won. or they think so. 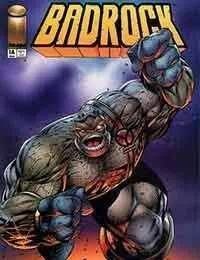 They encounter Girth and they have to ally with Savage Dragon to defeat once and for all Overlord and his minions.